Friendship is one of the rare, beautiful gifts of life. I am fortunate to have you as a friend. Although I know the richness that your friendship gives to me, I can only guess what richness my friendship may give to you. But, if I could, I know what I would give you to make your life as beautiful as mine. I would give you the excitement of each sunrise-the birth of each new day. I would give you the seasons in all their splendor. I would give you the May perfume of a high desert morning, as the sun dries the dew from sagebrush, bitterbrush, and juniper. I would give you the July scent of ponderosa pine; the August fragrance of warm, ripe blackberries; and the October aroma of a thicket of mountain mahogany. I would give you the sharp, clean odor of spruce in the cold, thin air of a high mountain winter. I would give you the colors of flowers and the songs of birds. I would give you the infinite beauty of the drifting clouds, the symphony of canyon winds, the orchestration of thunderstorms, the eternal tempo of the sea. I would give you the coolness of clear mountain streams, the tenderness on new grass. I would give you the freshness of summer rains, the silence of winter snows. I would give you the wonder of rainbows and of northern lights, and I would give you the majesty of snow-clad mountains. I would give you the sun, the moon, the stars, the wind, the rain, the snow. I would give you the fertility of the earth, the wisdom of eons entombed in rocks. And, I would give you the peace of each sunset-the reflective beauty of the land at day's end. But I cannot give you these things. They are not mine to give. So, my friend, I offer you my hand. Take it and come back in time with me as I paint for you with words the beauty and dignity of the land as I have seen it. Then, in small measure, I can share with you the richness that you have shared with me—friendship. My friend, I once took you on a journey through a forest of a thousand years. 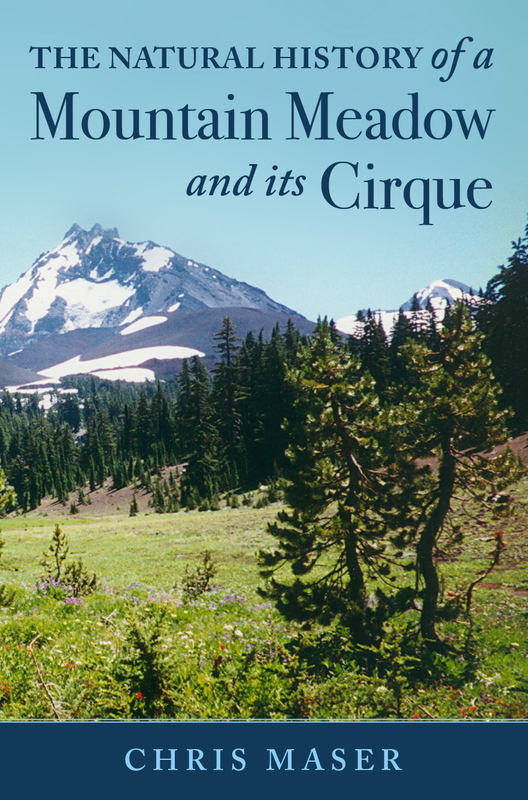 Now, come with me and witness the birth and life of a mountain meadow and its cirque. Secreted within these covers is the story of a primeval mountain meadow and the life histories of its creatures—from earthworms tending the soil to bugs that can skate the lake, shrews that can sit on the water of the stream as it flows downhill, bats patrolling the night skies, ravens trying to outsmart one another, and the chorus of wolves as they hunt deer and elk. This book is but an infinitesimal glimpse of the beauty and wonder of Nature that is irretrievably slipping away in our increasingly competitive race to commercialize the world. In the meadow, however, we can feel our spiritual roots and momentarily reconnect with the eternal cycle of life of which we are an inseparable part. In 1989, I wrote "Forest Primeval: The Natural History of an Ancient Forest," which was published by Sierra Club Books and is in libraries throughout the world. Today, however, I find no academic or non-academic publisher willing accept a book on natural history beyond an identification guidebook to plants and animals. Yet, an understanding of natural history is not only the essence of life itself but also the foundation of our human existence on Earth. I chose the path of self-publishing because an understanding of natural history, which is all but ignored, continues to be the imperative message that instructs us on how to care for our magnificent planet in a sustainable manner. Fortunately, I found Luminare Press (http://www.luminarepress.com/) in Eugene, Oregon. Patricia Marshall, the owner, and her excellent team are quality oriented, easy to work with, and in my case produced a stunning book. I whole heartedly recommend Luminare Press to anyone interested in self-publishing a book that is important to them. "Chris Maser has masterfully conjoined and interwoven the disciplines of natural history, species ecology, and ecosystem science with the arts of comprehensive description and inspired storytelling in this one-of-a-kind book about a Cascades montane ecological system. After reading this book, you know not only the life cycles and natural history of key species but also their personalities and functionalities. But, the book is less about teaching ecological details than about expressing the immense importance of the interactions among species and between each creature and its habitat. Equally useful for embryonic scientists-in-training and those seeking a deeper spiritual connection with the planet, this is a delightful read." "Amidst the vivid imagery and intimate detail of a place virtually untouched by man lies an elegant allegorical expression of the human condition, not only through the trials of young Storm Hawk, but also the complex system of living beings inhabiting the meadow and its cirque. Glimmering in the eyes of every member of the ecosystem is a spark of humanity that will bring readers closer to the wildlife than a documentarian could ever imagine. The youth's journey to adulthood is portrayed again and again through the lifecycles of the numerous meadow dwellers, varying with each account by the creature's specific background, status, and fortune. "Chris Maser's expertly crafted book presents a 'coming-of-age' and 'finding-your-niche' narrative alongside an information-rich guidebook befitting top-tier adventurers, sportsmen, and wildlife enthusiasts. Each page is radiant with his tremendous passion for the outdoors, and I have no doubt that anyone enjoying this marvelous book will be struck with the overwhelming urge to go camping—as I was, and ultimately did—if only to re-experience nature through a newly developed lens. Truly, this work is a gift to the reader."